Crystalline solids consist of atoms, ions and molecules arranged in definite and repeating three-dimensional patterns in a highly ordered microscopic structure, forming a crystal lattice that extends in all directions. Unlike amorphous solids that melt at a range of temperatures, crystalline solids have definite melting points. Crystalline solids include metallic, ionic, network atomicand molecular solids, and true solids are crystalline. 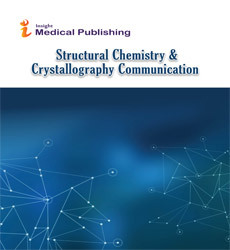 Crystalline Solids journals main focus is within the fields of Materials Chemistry and Chemical Physics, Thermodynamics.